Step 1 Heat the oil in a medium saucepan over medium heat and add the onions and garlic to sauté for 2-3 minutes. Step 2 Add mushrooms and parsley and stir cooking on a low heat for a further 7-10 minutes. Step 3 Add the stock or water and bring to the boil and then stir through Chia seeds. Step 4 Cover the pan and reduce the heat to simmer for 45 minutes. Step 5 Place the miso in a small bowl and add 1-2 tablespoons of the broth and stir into a smooth paste. Step 6 Using a hand-held stick blender, blitz the soup until smooth. Alternatively, place the contents of the soup into a blender and blend until smooth. Step 7 Return the soup to the saucepan and add the miso. Step 8 Gently heat through but do not boil. Step 9 Serve topped with fresh parsley and the toasted pine nuts. Miso soup is a fantastic way to support your digestion due to the fermenting benefits of Miso. Gut health as we now know is a significant factor for overall health, which is why we need to help our digestion out as much as we can. 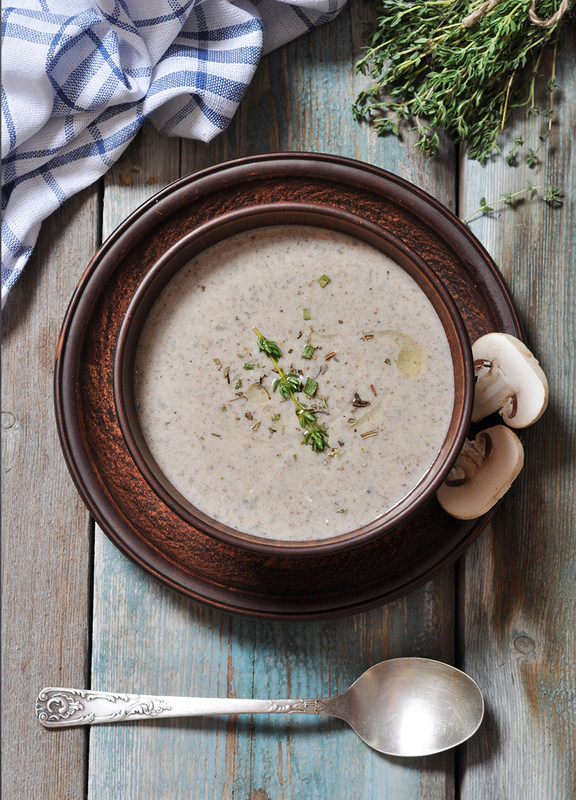 This soup is beautifully light, but also contains additional fibre from the chia seeds and pine nuts.